This week we had 3 funerals. Our Branch president’s wife, our less active members husband, and the father of our Korean-branch member/stake 1st counselor, all passed away. 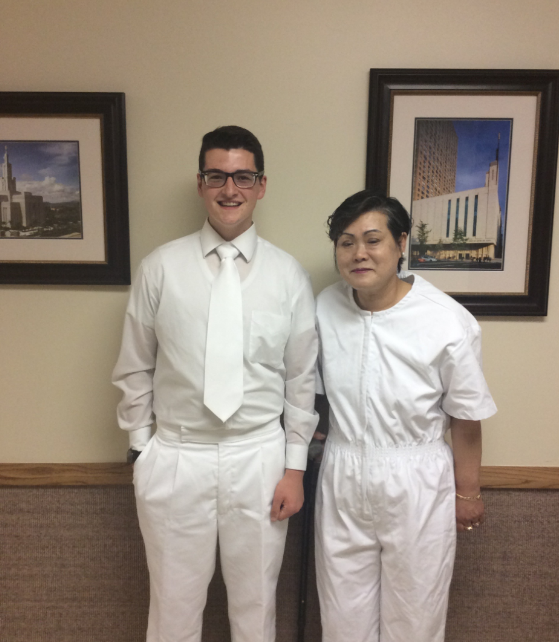 We did a lot of preparation work and there have been a lot of tears and a lot of meetings and a lot of last-minute calls on the missionaries. On top of all that, we had a baptism. So we’ve had a crazy week here In Flushing 3rd Branch. Also last Saturday we had a baptism. We met her 6 weeks ago on the road. She dropped some groceries and because she was walking her dig she was having trouble getting them. So we walk her dog and take her groceries to her house for her and she felt so grateful to us. Now she’s the newest member of the Korean branch here in New York.